Two graduating seniors with SNRE have been named the school’s outstanding students for 2016-2017 — Kelly Schmitz and Jennifer Sybert. Schmitz will be recognized in the agriculture and horticulture area and Sybert for natural resources management. Both will be honored at a breakfast awards ceremony at Wood Center on April 22. 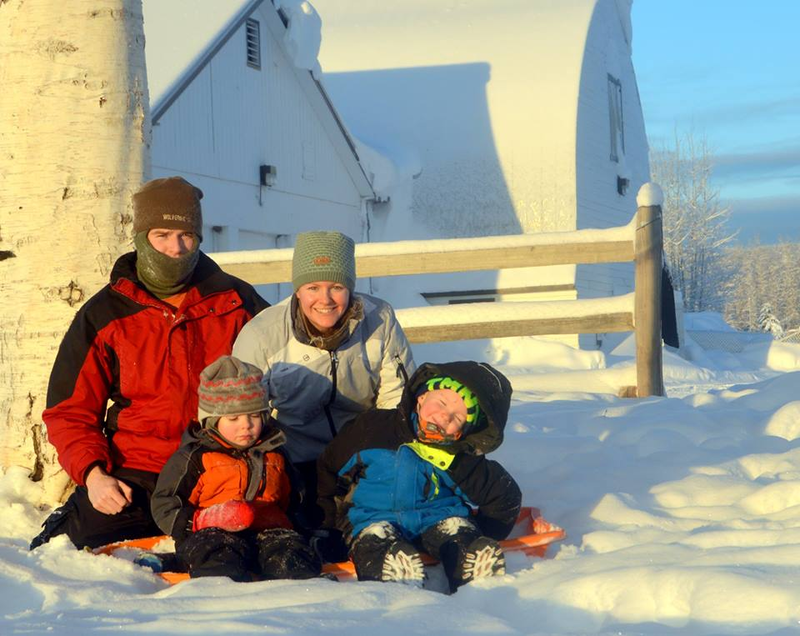 Schmitz, who grew up in North Pole, learned in March that she has been accepted in the joint UAF/Colorado State University Collaborative Veterinary Program. She will start the program this fall and plans to specialize in large animal veterinary medicine. As a longtime 4-H member, it is no surprise that Schmitz would choose veterinary medicine as a career path. Growing up on a farm, she raised a variety of livestock, including chickens, geese, sheep, goats, beef and one headstrong reindeer named Pumba. She received the reindeer from the UAF Reindeer Research Program in 2008 as part of a pilot program with 4-H. She also has raised a grand champion steer, lamb and chickens. “As long as I could sell animals, I was in 4-H,” she said. It help pay for college. Schmitz said she studied natural resources management because she was interested in agriculture, people and the outdoors. She has been happy with the program and her professors, she said. 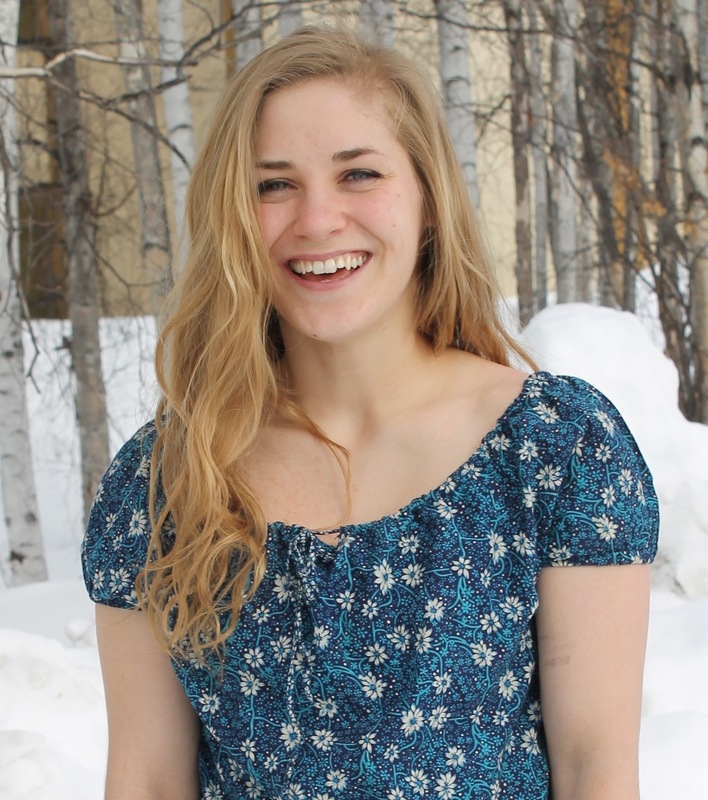 She also has had a variety of special experiences while at UAF, including an internship in Guatemala last summer, in which she worked with a veterinarian at a clinic and on his rounds. That experience was eye-opening, she said, because she realized that people in the U.S. take access to good livestock feed for granted and Guatemalans can not. “People there depend so much on their livestock for a living,” she said. She also worked with Syrian refugees in Jordan through a refugee agency. Opportunities this spring included a project award from the Undergraduate Research and Scholarly Activity (URSA) program to study how eating willow affects reindeer calf growth. She designed the research with Reindeer Research Program Manager Greg Finstad and it will be undertaken this summer. Jennifer Sybert, who is from Morristown, Vermont, served as a medic in the National Guard and the Army. She attends UAF with support from the Army’s Green to Gold Program. Sybert was a staff sergeant at Fort Wainwright, but while she attends college she is an ROTC cadet. After she graduates in May, she will be commissioned as a second lieutenant and assigned to Colorado as a quartermaster (logistics). She previously served in Vermont, Florida and Texas and was deployed to Iraq in 2009-2010. The Sybert family, including Michael, Jennifer, William and Jason. Her husband, Michael Sybert, was a 2014 outstanding student for the school’s forest sciences department. Both Syberts are interested in greenhouse management and eventually hope to raise niche crops, such as squash flowers and specialty mushrooms. Michael works for the Bureau of Land Management in Fairbanks as a natural resources specialist, and will have a job in Colorado managing forest lands for the military. Jennifer said particularly enjoyed Meriam Karlsson’s section of the Principles of Sustainable Agriculture and the conflict resolution taught in Resource Management Planning. She wishes she would have had more time to take agricultural electives. She came to UAF with an associate’s degree in health sciences from Kaplan University and also attended college at the University of South Florida.